A 1987 study of church buildings of Presbyterian and United Churches in Manitoba, as well as those from faiths that ultimately joined in the United Church – Methodists and Congregationalists. The study, from the late 1800s to the 1960s, focuses on the main developments affecting the evolution of this major building type. The original version of this study also features an inventory of 452 church buildings of these four faith groups. That study is available in many public libraries. 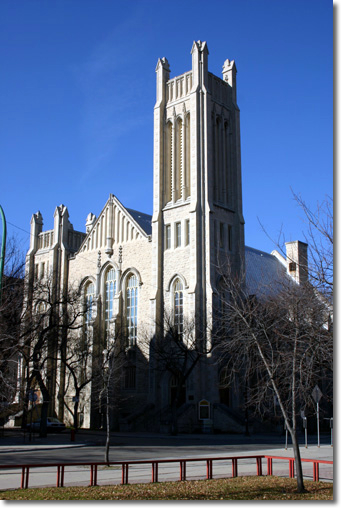 Knox United Church (1914-17) is a major landmark in Winnipeg.